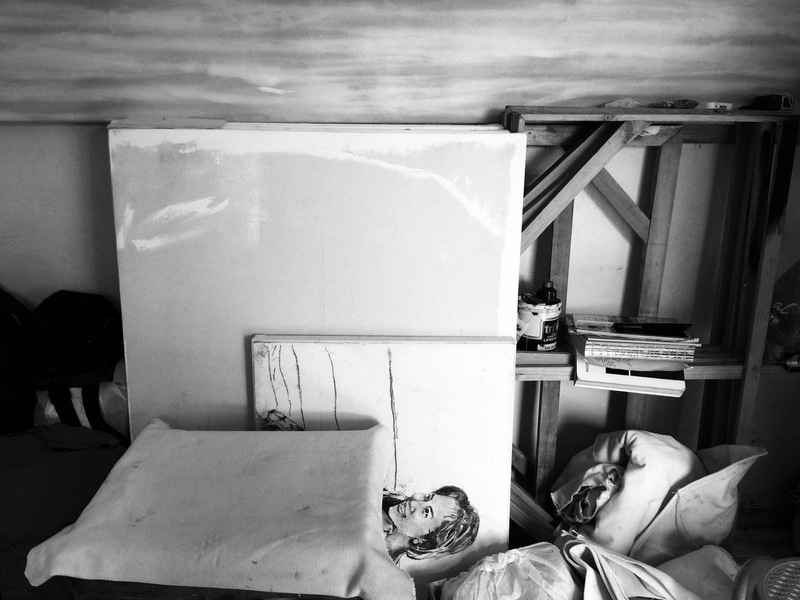 Artist's studios are always interesting. No studio is ever the same. 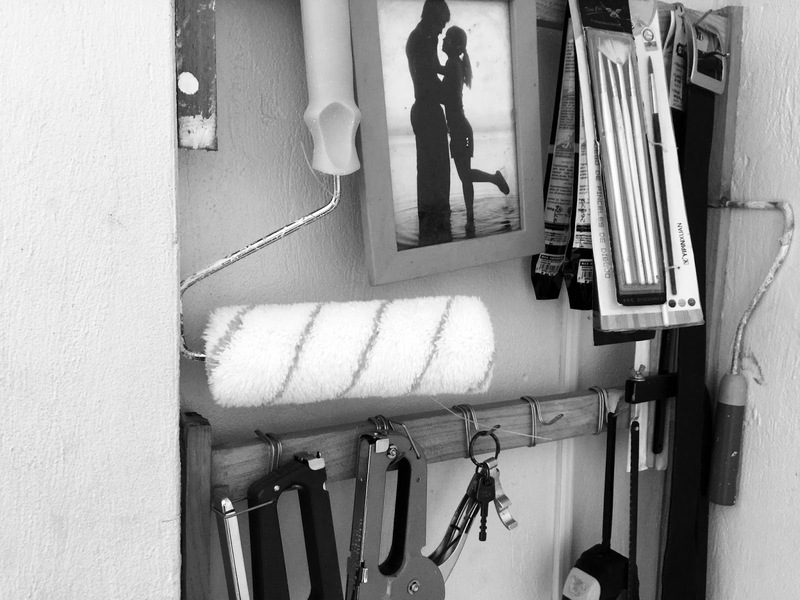 Each space transforms into a piece of the artist, an extension of their character and artistic style. Here at Streetkonect we love artists that invade space and make it their own, we see an artist's studio as an artwork in itself. 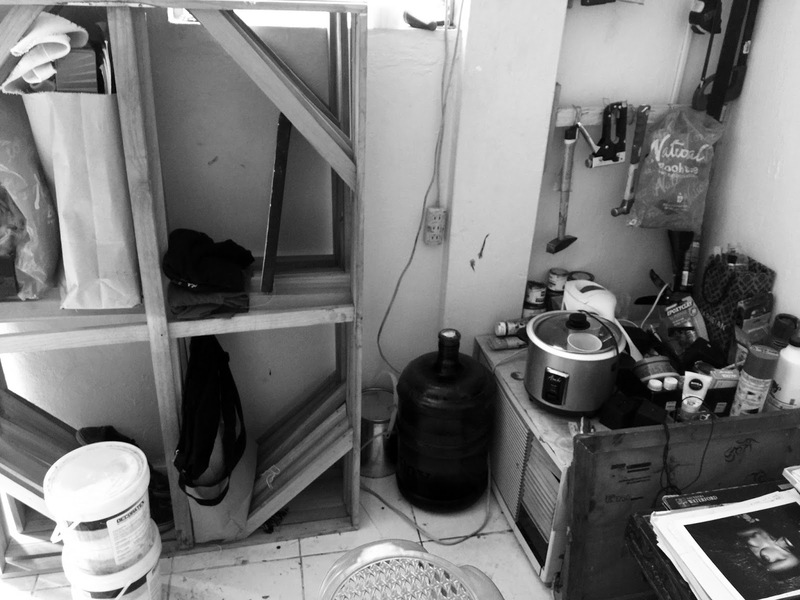 So with that being said we'd like you to celebrate with us, and take a peek at where all the magic happens. 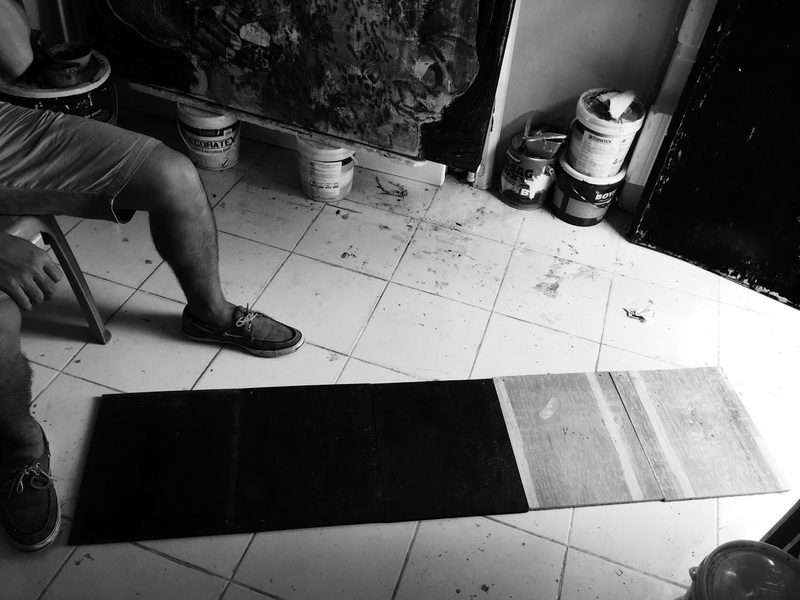 We headed over to the hills of Talamban one gloomy morning to check out Ronyel Compra's studio. 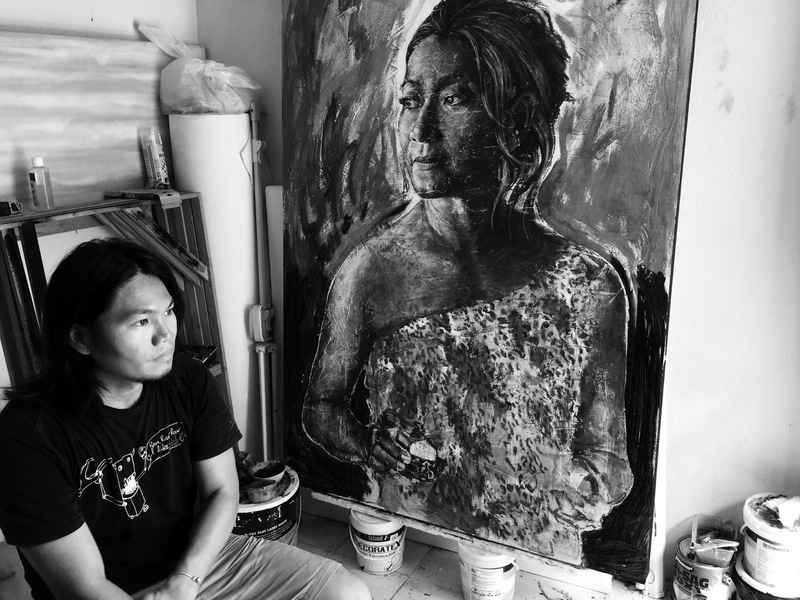 Ronyel Compra graduated from the University of the Philippines, he's well known for his charcoal portraits. A collaborative piece with Workers and Artisans for the Sari Suki 2050 exhibition. Ronyel Compra with his recent commissioned portrait.